AKESOgen offers a comprehensive genotyping and copy number variation capability including platforms from Affymetrix, Agilent, Illumina and Applied Biosystems. Services range from whole genome scans to focused panels to individual SNP genotyping, using a variety of genotyping platforms. Our genotyping platforms are supported by a number of automation solutions including including Tecan EVOs and Beckman FXp robotics. Our award winning team of scientists have experience in all sectors including large pharma, biotechnology, academia, government and clinical. AKESOgen is proud of their track record in managing and executing projects of all sizes including some of the largest genotyping projects ever performed! Our CLIA compliant and regulatory service provides reliable data of the highest quality with the most cost effective and fastest turnaround time in the industry. 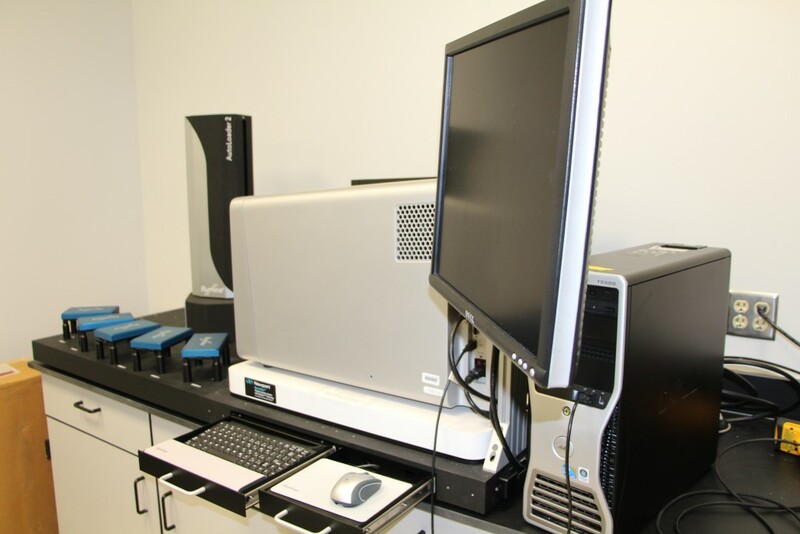 AKESOgen utilizes several Affymetrix GeneTitan platforms in a purpose built facility. Axiom Genome-Wide Population-Optimized Human Arrays are pre-designed to maximize genomic coverage of common and rare SNP and insertions/deletions (in/dels) in Caucasian, Asian, and West African populations. Axiom Biobank Genotyping Arrays were designed by and for thought leaders in the human genetics community for high-throughput, high-value genotyping of large sample cohorts to explore the genetics of complex diseases with a single comprehensive low-cost solution This array covers GWAS, Exome, ADME, eQTLs, plus an option to add custom content. 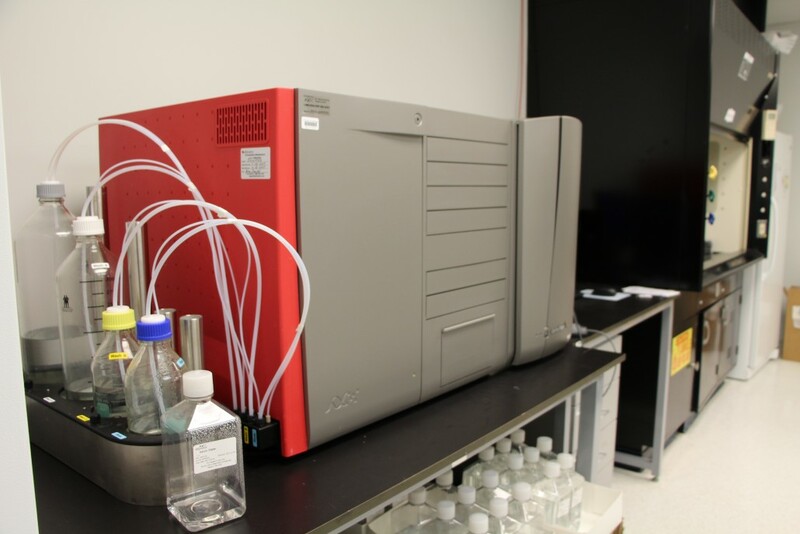 AKESOgen employs a number of iScan systems, Illumina’s flagship next-generation genotyping instrumentation. The Infinium chemistry is a high throughput SNP genotyping technology that allows the identification and scoring of up to 5 million SNPs per single DNA sample. These platforms and technology allow for whole genome CNV assaying utilizing allelic intensity algorithms. The Infinium assay relies on direct hybridization of genomic targets to array-bound sequences. Single base extension is followed by fluorescent staining, signal amplification, scanning, and analysis using the Genome Studio software. These platforms have been widely exploited for dozens of major studies in human genetics including whole genome association studies, population genetic analyses, and copy number variation investigations. Numerous configurations of human sequence-based Infinium chips are available, designed to satisfy the different needs of particular studies. These platforms also offer a number of products for analysis of agriculturally important species including maize, cows and pigs. AKESOgen employs 7900HT Fast Real-Time PCR instrumentation, the only real-time quantitative PCR technology that combines 384-well plate compatibility. This technology uses TaqMan SNP Genotyping Assay 5′ nuclease technology with two allele-specific TaqMan MGB probes and a PCR primer pair to detect the specific SNP target. There are 4.5 million SNP assays available, including 3.5 million HapMap SNPs, 70,000 cSNPs and 160,000 validated assays. The solution includes TaqMan Drug Metabolism Assays: Genotype over 2,700 high value polymorphisms located in regulatory elements and coding regions for 220 drug metabolism and transporter genes.